'The Shape of Water' goes head-to-head against the coming-of-age drama 'Call Me By Your Name', 'Darkest Hour', 'Dunkirk', 'Get Out', 'Lady Bird', 'Phantom Thread', 'The Post' and 'Three Billboards Outside Ebbing, Missouri' in the prestigious Best Picture category. 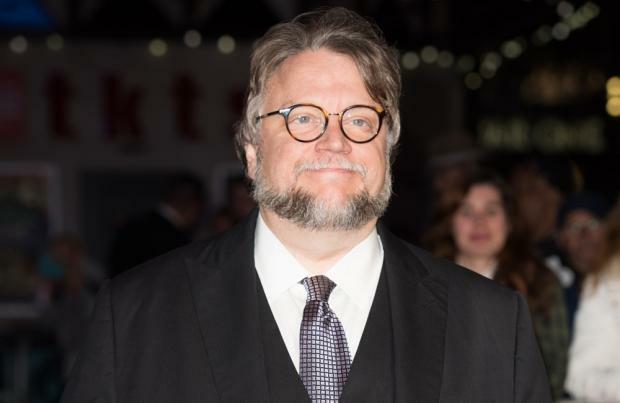 Del Toro - who won the Best Director at the Golden Globes this year - will have to beat the likes of Paul Thomas Anderson, Greta Gerwig, Christopher Nolan and Jordan Peele to much coveted Best Director accolade. Gary Oldman has been nominated for Best Actor for his role as World War II British Prime Minister Winston Churchill in 'Darkest Hour' alongside Timothee Chalamet for 'Call Me By Your Name', Daniel Day-Lewis for his final film 'Phantom Thread', Daniel Kaluuya for 'Get Out' and Denzel Washington for 'Roman J. Israel, Esq'. For Best Actress, Hawkins goes up against Frances McDormand for 'Three Billboards Outside Ebbing, Missouri', Margot Robbie for her portrayal of disgraced figure skater Tonya Harding in 'I, Tonya', 'Lady Bird' star Saoirse Ronan and 'The Post' star Meryl Streep. 'Three Billboards Outside Ebbing, Missouri' received nine nominations including two nods in the Best Supporting Actor list going to Woody Harrelson and Sam Rockwell - who won the award at the Golden Globes. Nolan's Second World War epic 'Dunkirk' received seven nods. Sir Ridley Scott's John Paul Getty biopic 'All The Money in the World' lost out to a Best Picture nomination but Christopher Plummer, who stars as the millionaire, has been tipped for Best Supporting Actor. The nominations were announced on Tuesday (23.01.18) by Tiffany Haddish and Andy Serkis following an announcement by Academy president John Bailey. For this year's ceremony, Jimmy Kimmel is returning to host the Academy Awards which are set to take place at the Dolby Theatre, in Hollywood, on Sunday March 4.